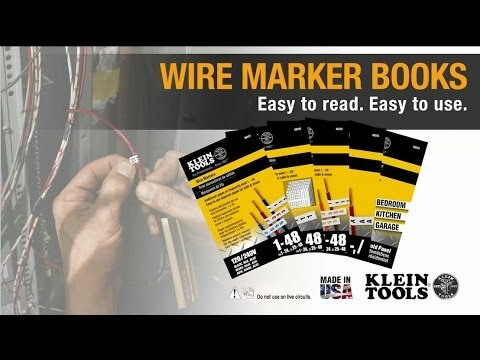 Label wires and your household panel quickly and easily with Klein Tools new preprinted markers and panel directory. These wire and panel markers are made of durable vinyl coated cloth and contain larger print to make them easier to read. Klein is now offering marker books in 5 different configurations to meet every labeling need.